To meet the needs of today’s wellness-minded guests, Hilton Hotels & Resorts in Myanmar has evolved its legendary offerings with the opening of the eforea spa at the Hilton Nay Pyi Taw. The eforea spa at Hilton Nay Pyi Taw has followed suit with the 31 other eforea spa locations globally, adding new treatment enhancements that embrace ancient healing methods and incorporating a refreshed treatment menu that complements the changes to the concept’s identity worldwide. The eforea spa at Hilton Nay Pyi Taw’s treatment menu includes unique, carefully-crafted Journey Enhancements – treatments packed with ancient healing methods plucked from the world’s most fabled spa and health cultures. Guests can enjoy the two very popular Journey treatment options at eforea spas globally. The Essentials Journey is composed of powerful, technologically advanced treatments that are sought after in every part of the world. Hilton Nay Pyi Taw has also taken a unique approach to the bespoke and localised Escape Journey, incorporating fresh and local ingredients, products and therapies. Some of the very popular treatments are the Ritual of Thanaka, which uses a scrub from the Myanmar thanaka tree for a whitening and rejuvenating aromatic massage; and Journey Through Myanmar, which combines a deep tissue warm oil massage and hot compress to restore balance, and therapeutic herbs to draw away tension. The rejuvenated treatment menu and revitalized eforea spa concept at Hilton Nay Pyi Taw is customised to fit the personal outcomes that today’s wellness guests seek. 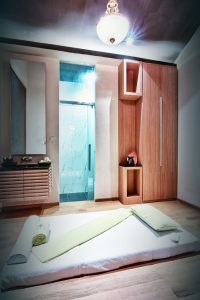 For more information on eforea spa at Hilton Nay Pyi Taw, visit: https://www3.hilton.com/en/hotels/myanmar/hilton-nay-pyi-taw-NYTHZHI/spa/index.html. 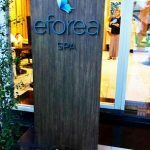 For more information on the global spa concept, eforea spa, and the treatments offered worldwide visit BeEforeaSpa.com. To stay up to date with the latest eforea spa news visit: hiltonglobalmediacenter.com/eforea.